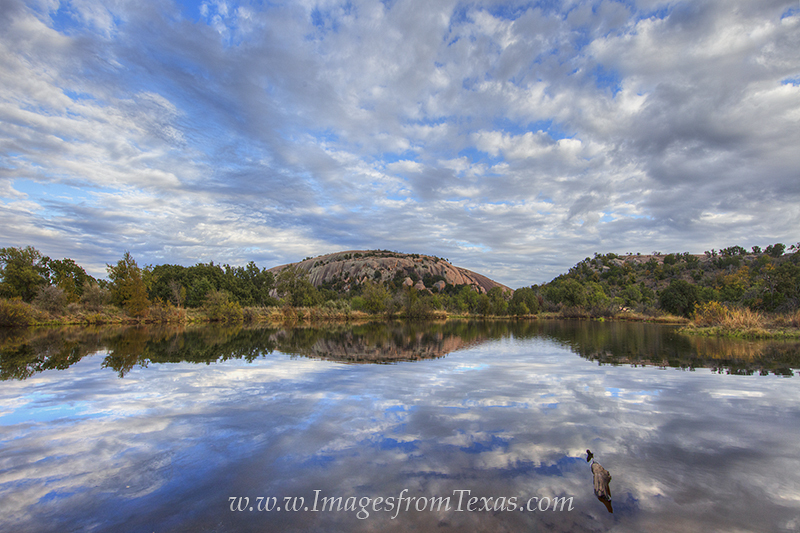 This Texas landscape comes from Echanted Rock in the Hill Country. Moss Lake is in the foreground and the wonderful clouds are reflected in the calm water. Photo © copyright by Rob Greebon.